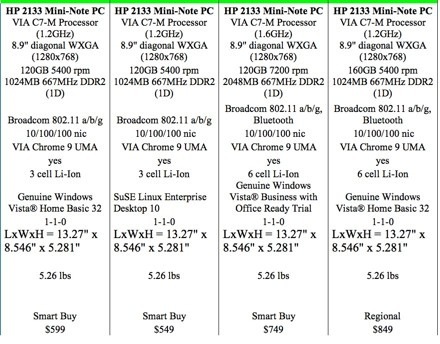 Interesting conversation over at Techmeme about the Engaget coverage of the upcoming HP 2133 ultra portable laptop looking to take on the popular Asus Eee. Asus has definitely done for UMPC with Linux what Microsoft, Samsung, Ogo and others combined could not with XP/Vista – a commercially successful ultra mobile PC. Now before you dismiss it on size, price, power, processor, resolution, memory or any individual component that fails in comparison to your average entry level laptop, remember that this is meant to be ultra portable and dare I say, ultra affordable. 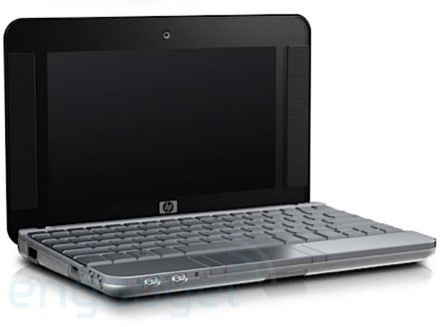 HP sports a Via C7-M 1.2 – 1.6 Ghz processor which is an equivalent of an Intel Celeron at similar speeds. 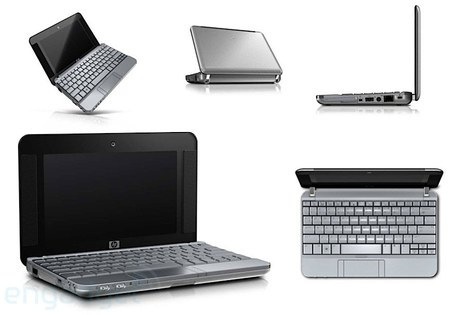 For about $200-$300 more you can get a faster processor, more hard drive space, Vista Business, bigger battery. So there are options to make this fit different needs, but at $600 for the portable Vista system with a webcam, wireless and a 2lb PC just slightly longer an 8.5 x 11 piece of paper, this can fit a lot of mobility and portability needs. So what do you think? Is there a market between an entry level laptop and a PocketPC? I am not sure if this device will come with a VGA-out which would easilly make it a realistic replacement for office information workers that can quickly take it to meetings and dock to the larger monitor, mouse and keyboard at their desk. Can’t see it being the next big thing. They’re underpowered for running Vista, and whilst its possible to “dock” a small device to emulate a real PC, it’s still the same underpowered device that will end up frustrating you, with a shiny monitor and familar keyboard/mouse. This style of PC won’t be a windows mobile killer. Cute… Looks like a Sony from a few years back. The ASUS though has solid state drives. That to me is ultra mobility. Everex is also selling a competitor through Walmart, the Cloud Book. It also has a 30g HD. Walmart and Everex will sell thousands to parents look for a cheap laptop. Unfortunately, the drives will be f’d up in no time and one more $400 dollar “toy” will be added to the child’s closet…I digress. I think ASUS (and M$) have a good thing going. The new EEE model has a 9″ screen and 12-20g solid state drive with memory up to 2g and XP. I believe the IT person will love this unit as will the blogger who chooses not to buy the $$$ Airbook. Great post Vlad! @anthony Run Vista doing what? Flip3D? No. AutoCAD? No. Office apps? Yes. Instant messenger? Yes. Quickbooks? Yes. Lawyer LOB stuff? Yes. Document scanning? Yes. Web apps? Yes. I don’t think this is all that weak, with 1 or 2 GB of RAM this is a lot more powerful than MOST of the systems we are currently monitoring for our customers. I’d buy MBA tomorrow if it was not running MacOS X. To me that alone makes it kind of useless. I’ve played with Eee and frankly, I don’t get it man. Yes, it’s SSD, but its a 4 GB SSD that has less than 2GB storage on it if you put XP on it. I love Linux on the desktop but it’s just not enough for me on the laptop. Yeah, the MBA is sure pretty. I find it the perfect soccer mom/blogger machine. Apple has the plan, 32gb SSD, add one more USB port and I think they would have a winner. 2 lbs? Try 5.26 lbs, according to the specs you posted. Price is OK if you don’t need to connect to AD. Once you get to $750 for Vista Business, still without Office, I think the price point falls down. This thing isn’t the death of Windows Mobile, for the simple fact there’s no phone. Doesn’t matter tho. Blackberry and iPhone are slaughtering Windows Mobile just fine on their own. I saw a comparable Acer recently for $399, and with PC5300 memory at around $30 per Gig, I wish I would have jumped on it. It’s a great deal for home users. It is as useless as an ashtray on a crotch rocket. The weight is way off, 5 lb would make this paper-sized laptop seem as if it were made of steel. Not quite. On mobility; I dunno man, I can tell you that we have sold far (far, far) less phone-enabled PocketPC’s in our company projects, people often opt for either rugged or customized PocketPC classic devices with either just WiFi or manual sync. They are very much just little computers/terminals, not really phones. But ditto on Blackberry, I can’t believe how good they are doing the demand for it is incredible and personally quite disgusting. @Vlad – 1-2 Gb with a 5400 RPM HDD (3 of 4) and a celeron (equivilent) processor will barely walk vista, let alone run it and an application. I don’t think so, I have that on my laptop and it runs just fine. It doesn’t fly, but it runs Office and Yahoo IM without problems. My laptop cost a lot more than that and I can assure you it weighs far more than 5 pounds.